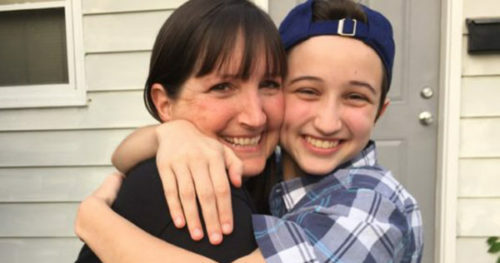 With just 2 days remaining until his high school graduation this week, a federal appeals court in Wisconsin upheld the right of a transgender student who identifies as a male to use the boys’ bathroom. 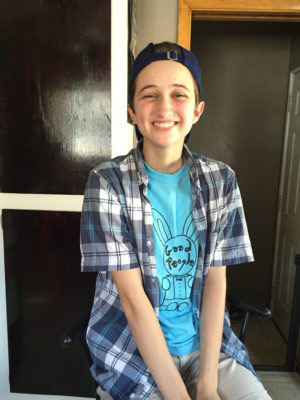 Tremper High School senior Ashton Whitaker began identifying as a boy during his freshman year of high school, and was diagnosed with gender dysphoria. He asked to use the boys’ bathroom as a sophomore, began hormone replacement therapy in July 2016 and changed his legal name in September 2016. But the Kenosha boy has been fighting for his rights throughout most of his high school years. Just last year, Whitaker fought and won the right to run for Prom King, after the school administration at first insisted he was only eligible to be considered for Prom Queen because he was assigned female at birth. A protest by his classmates and his mom — Melissa Whitaker has taught at his high school of nearly 20 years — changed the administrators’ minds. Then in September, U.S. District Judge Pamela Pepper granted Whitaker permission to use the boys’ bathroom at school. On Tuesday, the 7th U.S. Circuit Court of Appeals agreed with the lower court. The ruling came on the second-to-last day of Whitaker’s senior year. “This is just another building block on the large and growing number of courts to hold that discrimination against transgender people is illegal,” Turner said, underscoring the significance that the court recognized Title IX of the Education Amendments of 1972 —which prohibits gender discrimination in public schools — applies to transgender students. “A policy that requires an individual to use a bathroom that does not conform with his or her gender identity punishes that individual for his or her gender nonconformance, which in turn violates Title IX,” Williams said. Kenosha Unified School District had argued against that interpretation of Title IX, saying it does not apply to transgender people as a group. Moreover, attorneys for the school district claimed the so-called “harm” to other students, particularly to male students, would outweigh any harm to Whitaker by restricting his right to use the bathroom that corresponds with his gender identity. Ronald Stadler, a lawyer for the school district, didn’t immediately return a message left by the Associated Press. Williams rejected the arguments by the district’s lawyers, calling the “harm” they claimed others would suffer was merely “conjecture,” while it was well-documented what harm Whitaker already suffered as a result of the district’s transphobic policy barring him from using the boys’ rest rooms. Those include suicidal thoughts as well as medical issues stemming from avoiding the bathroom. The school offered him only one choice, according to the lawsuit: either use a gender-neutral bathroom in the school’s main office, or the girls’ bathroom. Now the question is whether this ruling will impact the case of Gavin Grimm of Virginia, now before the 4th U.S. Circuit Court of Appeals. Like Whitaker, Grimm is a transgender male graduating senior who sued his school board for the right to use the boys’ bathroom. The Grimm case was set to be heard by the U.S. Supreme Court in late March, until the Trump administration stepped in. The Departments of Justice and Education revoked guidance from former President Barack Obama, that had previously directed public schools to follow Title IX just as the Wisconsin court did, and allow trans students to use bathrooms that match their gender identities. The full text of the ruling is available on the 7th Circuit’s website.